Follow the live blog from the courtroom here. Squeeeeel like a pig Samsung! I think it’s funny how you claim MDN’s portrayal is false, yet can’t be bothered to post a link to even one of these many other sites showing the “real” story. Mike has been trolling MDN for awhile, it’s a given that these scared Apple haters are running around wasting time with all this nonsense. Let them BURN, Trolls are amusing as to how much time and energy they spend trying to push misinformation and hate about Apple. Don’t you know, the Fandroid crowd thinks Fandroid Theftware is open and iOS is closed. They are like the people working on yet another LINUX distro that will have the magic beans necessary to take over the computing world, not realizing that that train left the station decades ago. Of course Fandroid is free- it’s stolen from front to back- excepting the Google spyware implanted all over it. So they have a bias against Apple, then. Where will be the ‘truth’ in that? I can predict with 100% certainty that nothing whatsoever will arise from this case and that Apple will end up on the losing side. The remedies asked for, of a complete ban of Samsung’s products, have been made obsolete due to the passage of time as the current Galaxy S3 model bears no resemblance at all to the iPhone. true, but if Apple wins, then Samsung should e liable for a substantial amount of damages to be paid to Apple…..
Not that I have ANY faith that our legal system will actually DO any of that, but that’s what SHOULD happen. Hell, this was such an open-and-shut case of infringement by Samsung (and Google, of course) that it SHOULD have been closed a year or two ago, with most (if not all) Android devices removed from the market for infringement of patented Apple IP)…..and with Eric Schmidt in prison as the chief architect of the theft. Instead, we’ll likely wind up with a joke of a trial and minimal payment of damages….and that’s if Apple even wins. Our judicial system is pathetic. One of the reasons why I adamantly stick with Apple no matter what is because I know they are the original progenitors of the smartphone revolution with Steve Jobs at its head as the fountainhead of innovation. That I have no doubt. 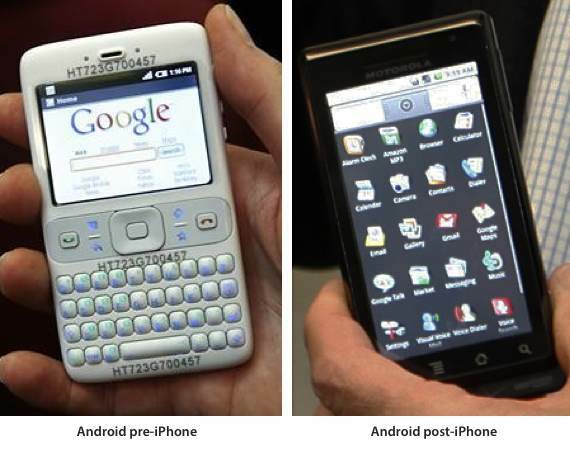 And that Google and Samsung stole the concept from previews of the operating system and manufacturing blanks (models). But when you have a legal system that creaks along at 10mph where tech evolutions move at Mach 2, then you will have situations where the legal system is well behind the tech curve and cannot implement what is right from a judicial standpoint. I find myself actually agreeing with you and commend you for a well stated point of view. Well said, a;so a great argument against libertarianism. Dr Paul and all the rest say we need no regulation- that you are free to file a lawsuit if you are harmed/injured/ripped off. You don’t need safety regs- just sue Toyota when your wife gets killed in a car with Bia Ply Tires, no seat belts and no airbags. That’s their logic. That’s also the mantra of the inmates running the Republican Party these days. I’d add, that since this case is relying on a jury of “peers” – those “peers” may not see Apple with it’s $billion$ in the bank as sympathetic. A victory, especially if it includes monetary damages will absolutely have an impact and it will set a critical precedent NOT to copy Apple in the future. Apple doesn’t mind others being successful on their own merits, they only object to being a free source of R&D for the rest of the industry. If this case was being tried in Texas I’m fairly sure that the American Company would win big time. In politically correct California, Apple is facing a dogfight. Samsung tossed out a large volume of important emails prior to this trial. They should therefore be given very little latitude by the judge. Bunch of crooks crying and wailing after being caught with the stolen goods in their hands. One of Samdungs arguments is that, “Apple did not invent the Rectangle”. Note to Apple Legal: Show all the “Wing Shapes” that everyone tried until the Wright Bros. came up with that “MAGICAL WING SHAPE” that actually flew. Then show all of the “Rectangle” phones that did not “fly”, such as the DROID, the LUMIA, the ESPERIA (?) by Sony, several others from RIM etc. All of these RECTANGLES did not “FLY”. Then show the iPhone together with the flying wing from the Wright brothers. Then show the COPIED RECTANGLE from Samsung. Boohoo Samsung. You really are soooo screwed. Like all of you, I have a vested interest in this trial. Lets say Apple wins and damages are trebled. Thats 7.5 Billion dollars. Sounds like alot. But how much money does Apple spend to buy it’s chips from samsung per year? Easily in the billions. Until we can go to Taiwan Semi or Intel for all our chips, how screwed will samsung be? Why are we still doing business with this company?? It could well be that while the glacial judicial process has been moving along, so too has Apple’s supply chain, and just about the time the verdict is announced, Apple quietly moves to other suppliers. I mention that because I sure wouldn’t want to be doing business with my main copier/competitor and be taking their fine money from them — and Tim Cook is smarter than me, so I’m sure he’s thought of this long ago! 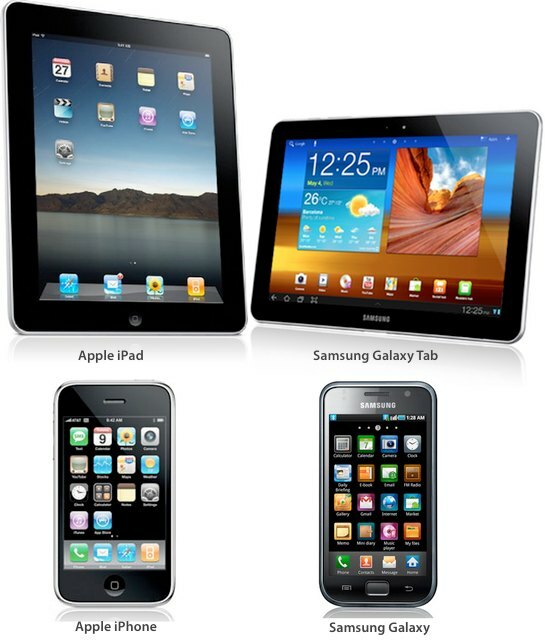 It’s a good guess Samsung had information about the design prior to Jobs’ iPhone announcement. Plenty of people, including on their side of the world, knew about it. If Samsung truly designed theirs first, it’s certain they would have released it first. I don’t know. Their attorney sounded droll and flippant. A little too eager to minimize. His, “Apple buys all this stuff from Samsung, so obviously Apple must think we are good; obviously we innovate,” is so irrelevant I wanted to puke. If he keeps answering questions that no one is asking, and keeps skirting the direct Apple allegations, the jury is going to see that Samsung has no real defense. Samsung syas that they innovated a lot of what is on the iPhone. So, why isn’t it on their phones? Innovation and building something for your customer isn’t the same. Losers.